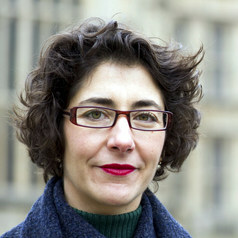 Dr Elvira Perez Vallejos is an Associate Professor of Digital Technology for Mental Health at the NIHR BRC in Mental Health, Division of Psychiatry, Nottingham University. I am interested on the ethical challenges of introducing new technologies such as AI (Artificial Intelligence) and Deep Learning methods to promote mental health and wellbeing. I have experience on RRI (Responsible Research and Innovation) and Data Ethics as well as on the Internet of Things (IoT), Data Privacy, Research Ethics, Human Factors, Experimental Psychology, Participatory research, Children and Young People, Older Adults and Co-Production. Dr Perez is also a Research Fellow at the Institute of Mental Health where she studies the social and clinical implications of creative practices for mutual recovery among children and young people.